Here’s a modification I made to the Z-axis ball screw mounting bracket on my Sieg X2 (Harbor Freight) mini-mill. 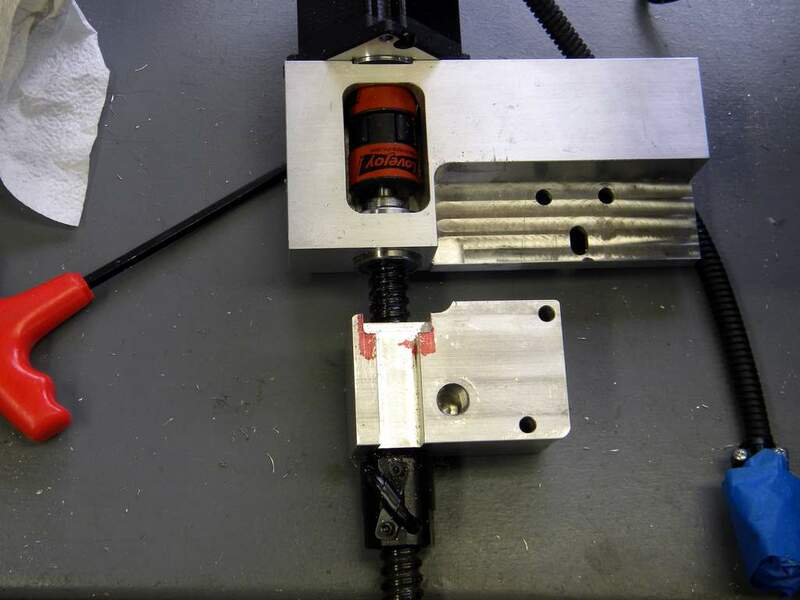 My CNC conversion kit was made by CNC Fusion and their design does not allow you to adjust the top gib screw without removing the column from the base and sliding the head half way off of it, which is necessary to get at a large 10mm bolt that holds it from the inside of the spindle head (along with 2 smaller bolts on the outside). My post about removing the X2’s intermediate gear has some photographs that will show you how much work it takes. The bracket actually covers up the top two gib screws and there’s not much you can do about the second one except to adjust it properly before you install the ball screw and then hope you never need to adjust it again. To make it accessible you’d have to remove metal near where the ball screw nut is attached and I don’t think you can do that. But there’s nothing to prevent you from making a bigger opening so you can adjust the top gib screw with a shortened 3mm hex wrench. I also made it big enough so I could get a wrench or at least some needle-nose pliers in there to loosen or tighten the lock nut. If I’d been able to wait a week or so I would have eliminated the lock nuts altogether by ordering self-locking ones from LittleMachineShop.com. I have two mills, which made it possible for me to make this modification. 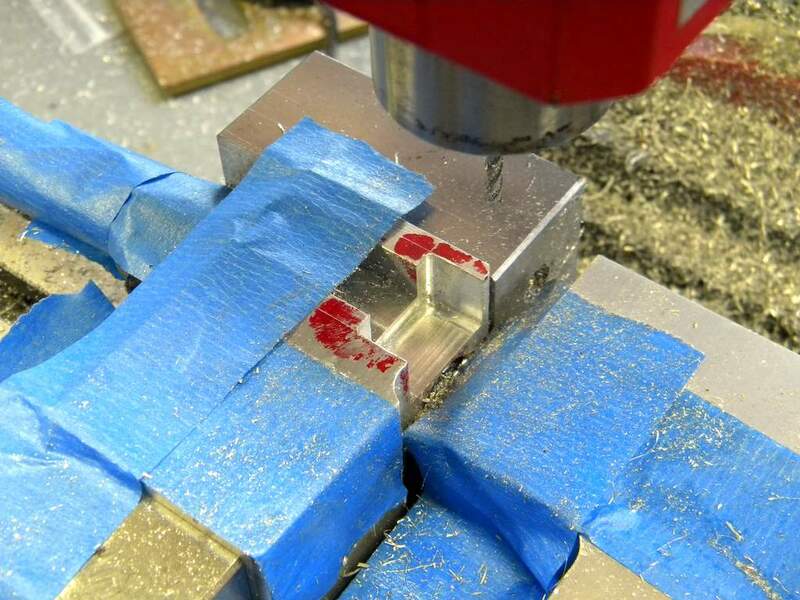 If you don’t have that luxury you might want to consider doing it before you begin converting your mill to CNC. The original opening was about .60 wide and .38-inches deep. It’s now .94-inches wide and .55-inches deep. I’m not sure, but there may also be another solution and that would be to eliminate the internal bolt by replacing it with more external ones. That would allow you to quickly and easily remove the Z-axis ball screw so you could have full access to all the gib screws. I think CNC Fusion did it the way they did so their customers would not have to drill and tap any holes in the spindle head. Their design avoids that by reusing the holes used by the height adjusting wheel and mechanism. Of course if you used more external bolts you’d have to put them where they wouldn’t interfere with the gears inside the head. You’d also have to make certain they could handle the weight of the head, which I think is about 12 pounds. That’s one advantage the big internal bolt has. I know this is a boring post for most of you. But I”m hoping it will help others who also have one of these CNC conversions kits. I used masking tape to prevent swarf from getting into the ballscrew's nut, the Lovejoy couplers and the electrical connector for the stepper motor. 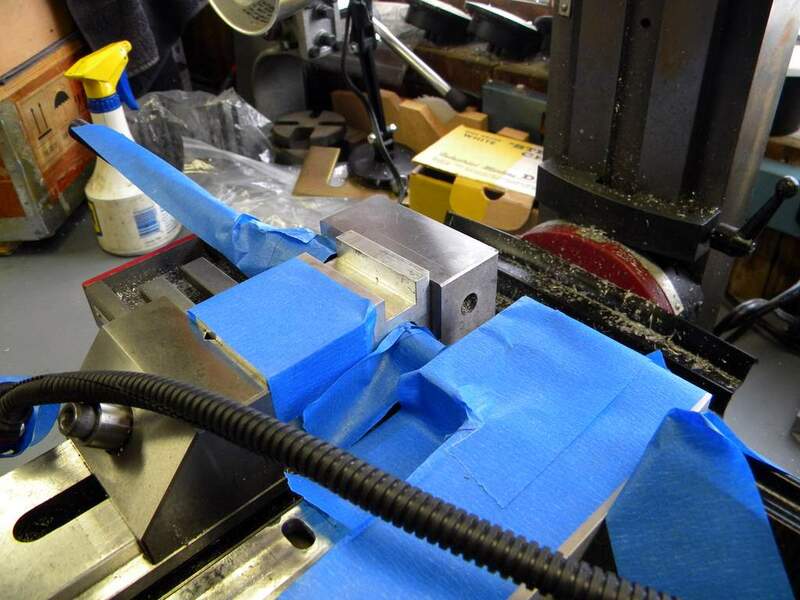 In case you're interested, here's a photo showing the CNC Fusion Z-axis assembly for an X2 mini-mill. The larger bracket, with the stepper motor, is mounted on the mill's column. The smaller bracket is attached to the head. 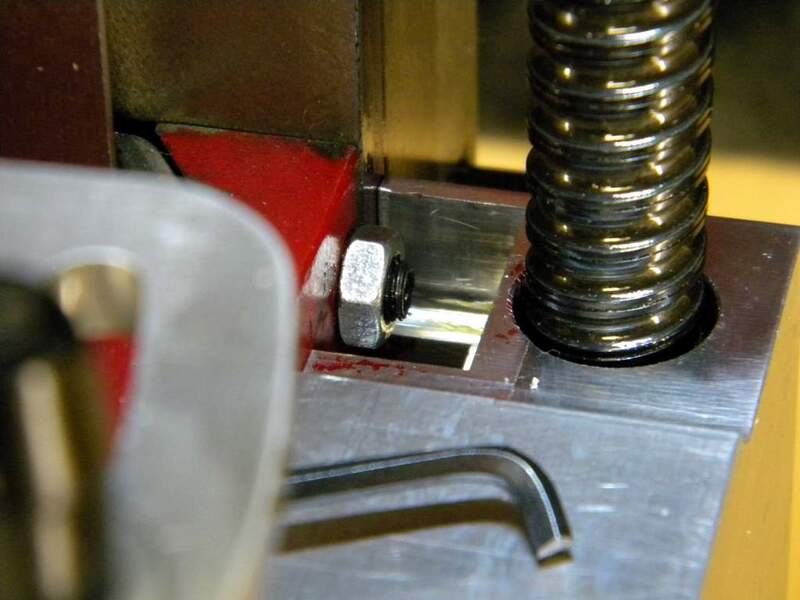 Lovejoy couplers are used to connect the stepper motor to the ballscrew. This will go where the stepper is…the bevel is to move quick, the single worm slides over (threaded rod not shown yet) to fine feed/lock the Z ball screw..